The University of Wisconsin Law School in Madison calls its hallmark approach to legal education "law in action." According to Dean Margaret Raymond, "law in action" refers to a focus on the way law affects people and their communities. That may mean applying legal education to real-world scenarios, it may mean an experiential approach to legal education, or it may mean a consideration for how to apply the rule of law in counseling an individual client. In other words, "law in action" goes beyond learning the rules of the legal profession and extends to practical application and consideration of the unique effects of law on individuals and on society as a whole. Dean Raymond has been dean of the University of Wisconsin Law School since 2011. A graduate of Columbia School of Law, she served as Editor-in-Chief of the Columbia Law Review. Her rich legal experience includes serving as law clerk to the late Justice Thurgood Marshall of the U.S. Supreme Court and the late Judge James L. Oakes of the U.S. Court of Appeals for the Second Circuit. She has practiced as both commercial litigator and criminal defense lawyer. In 1995, Margaret Raymond joined the faculty of the University of Iowa College of Law, where she was named the William G. Hammond Professor of Law, honored with the law school's Collegiate Teaching Award, and served as president of the University Faculty Senate. 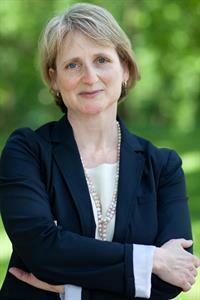 She remained at the University of Iowa until 2011, when she was named Dean of the University of Wisconsin Law School. Dean Raymond is the latest law school dean to participate in our interview series. We appreciate her time in speaking with us about the present and future concerns and opportunities for law students and the legal profession. New law students today face the challenge that they have always faced: learning new vocabulary, a new discipline and a new way to read, write and think. In addition, the profession they’re training for is changing quickly. So the dual challenges are to figure out how to master the study of law, and to be prepared to respond with flexibility, resilience and good humor to the changes that are coming to the practice of law. Continuing to provide our students a world-class, innovative and life-changing legal education at an affordable price. Health law is likely to grow as a field, and intellectual property continues to be strong. We also see strong and unmet need for lawyers interested in practicing in smaller cities and rural areas. I think it’s kinder. When I was a law student, there was still this idea that lawp faculty had to be domineering and intimidating in order to hold students’ attention. My generation of law professors developed our teaching methodologies largely in preaction to that approach. As a faculty member, I always wanted my classes to be prigorous and challenging, but also supportive, respectful and positive. I think that’s how most of my colleagues today would like their students to experience their teaching. Here as in many areas, we all need to learn more about technology! New technologies have the potential to provide more just outcomes sooner, by providing probative evidence, useful to both defense lawyers and prosecutors, that doesn’t rely on a potentially biased human being’s faulty recollection. Technology also provides a rich variety of contemporaneously recorded evidence, from video of an act to social media postings that might be relevant to intent or motive. But captured evidence can also be tampered with, so there are risks associated with relying on it and lawyers will need to know enough to ask the right questions to assure it is real. The Court is undertaking to decide whether there are circumstances in which gerrymandered legislative districts are unlawful. That’s a huge issue with profound implications for our democracy. As the named plaintiff in that case happens to be a retired member of our faculty, we are watching that case with particular local interest. To be honest, I loved being a trial lawyer. It was exciting, it called on a really rich and diverse set of skills, and there’s an adrenaline rush from that work that, as a legal educator, I miss sometimes. I get my opportunity to reconnect with that experience by talking with my alumni and my clinic colleagues about their clients and cases. Abraham Lincoln. Eleanor Roosevelt. And my old boss, Justice Thurgood Marshall. What an evening that would be.